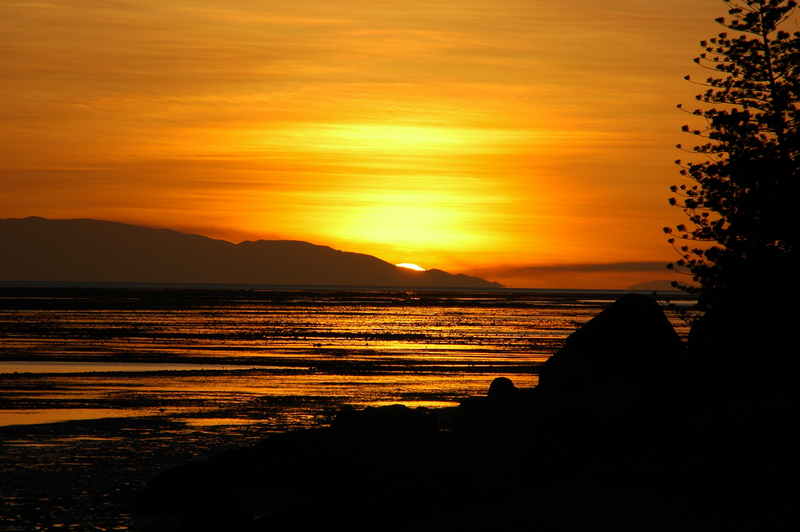 How gorgeous is this sunset, taken at from Nobby Point on Magnetic Island a few years ago? I just love the golden colour of the sky and the viscous texture its reflection gives to the water. There are some rustic timber deckchairs at Nobby Point for the sole purpose of sitting back and watching the view, especially at sunset. Magnetic Island lies about eight kilometres off the coast of Townsville, Queensland, in the middle of the Australian Great Barrier Marine Park. It has a very laid-back, old-world beach community feel, which is not surprising, as it has 23 beaches and bays. Two-thirds of the island is national park, so there are some great walks to do too. You don’t need a car to get around, as a bus services the four residential bays, but it’s enormous fun to hire a Mini Moke and blat about with the wind in your hair. This entry was posted in Australia, Postcards, Queensland, Travel and tagged Magnetic Island, Nobby Point, sunset. Bookmark the permalink.